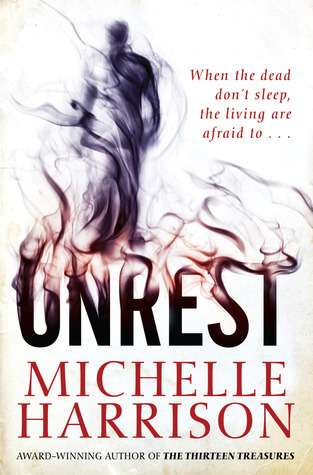 Today are happy to be a spot on Michelle Harrison’s blog tour celebrating the release of her new novel Unrest and to be hosting a MOST Awesome Giveaway! 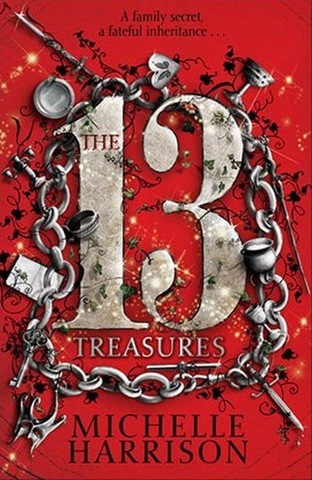 A chilling new novel for teen readers from the best-selling author of the widely acclaimed 13 Treasures sequence. The contest is open to EVERYBODY and will run until Saturday, May 5 at 11:59 PM (PST). In order to enter, leave a comment here naming your favorite story, tv show, or movie about ghosts. GOOD LUCK! Favourite ghost book: I looooved Neil Gaiman’s The Graveyard Book and I hope the movie (…when it finally happens) does it justice. This is a pretty awesome price pack. I haven’t read any of these and they both sound good. Hard to pick one favourite book, but I recently enjoyed Eyes to See by Joseph Nassise. Ooh, ghost story! That’ll have to be the Graveyard Book by Neil Gaiman! Very very well done. I think my favourite ghost story is probably The Graveyard Book by Neil Gaiman. With the popularity of vampires, werewolves, etc, ghosts sort of get lost in the midst of things. The latest ghost story I read and liked was Anna Dressed in Blood. Oh, and Koontz’s Odd series also come to mind (not that I read all of them, but I did find interesting the ones I did read). I’ve always been partial to The Ghost and Mrs Muir. My favorite ghost themed movie is “Truly, Madly, Deeply”. Sigh — love that movie! Thanks for the great giveaway! My favorite is a book called Something Upstairs by AVI. I must have read it at least 50 times as a kid. My favourite movie involving ghosts is Heart and Souls. I really enjoyed the twists and turns of Kelley Armstrong’s Darkest Powers Trilogy, where the main character, Chloe, can see ghosts. Does that count? My favourite ghost book is probably The Red Tree (Caitlín Kiernan) which is, arguably, not a ghost book at all. But possibly is. But if it comes down to haunted houses — houses that haunt, most likely devoid of ghosts — I’d have to say Shirley Jackson’s The Haunting of Hill House. I am also a sucker for Supernatural. And horrible haunting movies — the type I like to hunker down and watch, but am far too embarrassed to list. Odd Thomas and The Sixth Sense. Though for a lighter touch, the old movies Topper and The Ghost and Mrs. Muir are always awesome. My favorite ghost book is The Graveyard Book. My favourite ghost story would be ‘Time of the Ghost’ by Diana Wynne Jones. My favourite ghost tv series would be ‘Medium’. I think my favorite books about ghosts would be the Darkest Power trilogy by Kelley Armstrong. Granted, it’s about a necromancer, but I think it counts! I liked ghost whisperer…she saw ghosts! Love supernatural. The wenchester’s kill ghosts so a little worried for bobby now. My favourite ghost story would probably be the Curse of Chalion by Lois McMaster Bujold… creepy, with awesome characters. Oh my good God, my favorite ghost story or tv show or movie? I do have a soft spot for the old TV show The Ghost and Mrs Muir mentioned above, and I confess that I really love Ghost (Patrick Swayze *sigh*) and The Sixth Sense, but I can’t claim to have one favorite. Cool giveaway! I’m really enjoying reading everyone’s choices – I hadn’t even considered The Curse of Chalion. My favorite ghost movie is an obscure Chinese film called My Left Eye Sees Ghosts. It’s romantic and hilarious. A ghost book that has really stuck with me is Peter Beagle’s A Fine and Private Place. I love the TV show medium. It’s so addictive! My favorite ghost movie is The others. It was weird and scary, a very good movie. My favorite book about ghost is The Lovely Bones, by Alice Sebold. My favorite ghost is Nearly Headless Nick in Harry Potter. Thanks for such a fantastic giveaway! Thanks for spotlight this author. I haven’t come across her before this and her books sounds awesome! My favorite tv show about ghosts was the Ghost Whisperer. Favorite movie, Ghost. not exclusively about ghosts, but i love “Supernatural”. this is a most awesome giveaway! I’m going to go childhood-nostalgic here…I love the old Abbott and Costello movie The Time of Their Lives. I was always a big fan of “Charmed”. Not about ghosts per say but there were plenty of ghosts in the series! My fave ghost-type movies would have to be The Others and The Orphanage. So creepy! I would have to say anything by Stephen King would have to be the best ghost stories. Got to get on board with The Graveyard Book love. It’s definitely one of those books that I wish I could’ve written. Thanks for the great giveaway! I’m not a big fan of ghost stories because I’m a scaredy-cat but my favorites are probably A Certain Slant of Light by Laura Whitcomb and The Graveyard Book by Neil Gaiman because I didn’t have to worry about being afraid while reading those two. I would have to say that my most favorite movie about ghosts (and I don’t watch to many because things…haunt me, for lack of a better term…for a while afterwards)would be The Sixth Sense. This movie totally blew my mind with the ending, but it also left me with a good feeling which I SO appreciated. I’m partial to Casper the Friendly Ghost. I think mine has to be the Sixth Sense. I like the movie the Lovely Bones. I don’t know about all time favourite, but the first one I thought of (after Ghostbusters) was Susanna Kearsley’s The Shadowy Horses. I think my favorite ghost story would be, Heart-shaped Box by Joe Hill. I loved A Certain Slant of Light. Wonderful competition! My favorite book with ghosts is Neil Gaiman’s The graveyard Book. A certain slant of light… beautiful in a really creepy way. My favourite ghost TV show is Ghost Whisperer… I used to be obsessed with it! My favorite ghost story isAnna Dressed in Blood by Kendare Blake, and the Supernatural TV series that have lots of ghosts. I like the Others and Sixth Sense. Thank you for this giveaway! My favourite TV-show about ghosts (sometimes) would definitely be Supernatural! And my favourite book(s) is Kelley Armstrong’s Darkest Powers trilogy. SUPERNATURAL it is! I love that show! It reminded me of the Shadowhunters and Buffy the Vampire Slayer. SUPERNATURAL the TV show has it’s fair share of ghosts & they are nasty. THE SIXTH SENSE is a great movie with ghosts in it. Hmm . . . does Buffy count? I’m not usually big on ghost stories, but that sounds really cool. “The Host” is my favorite book,may be there are not to many ghosts,but the plot is amasing.As for the film,the best,from my point of view,is “The Others”.”Sixth Sense” too,but “The Others” is just on the first place. Favourite story has to be the darkest power series by kelley armstrong. Thank you for such a fantastic giveaway! :)My favourite ghost/scary story is neil gaimans coraline! Oooh favourite ghosty things – Stephen King’s Bag of Bones really freaked me out when I read it as a teenager – the ghosts talking to him using fridge magnets! Film/Tv wise, I love Being Human (Uk version), though did wish Annie got to use her awesome powers more often. I also loved a TV series called Hex about a teenage witch that got cancelled, her best friend was a ghost. Oh man, it’s really embarrassing to admit this because the movie is so full of cliches it’s about to burst, but my favorite ghost movie is “What Lies Beneath”. It’s one of those suspenseful “scary” movies that still makes me jump every time. My favorite tv show about ghosts is The Ghost Whisperer. My favorite ghost-related film has to be Ghostbusters: I remember sneaking out of school to go and see it! As for TV, my favorite ghost is definitely Annie in Being Human (BBC UK version). Ghostbusters for sure. I love Bill Murray. I think my favourite ghost related story is the Darkest Powers Trilogy by Kelley Armstrong. But I read The Woman In Black (mainly because of the Daniel Radcliffe film) and thought it was pretty good as well. I’m a big fan of the fantasy books, if someone in the story doesn’t have some sort of supernatural power I probably won’t be interested. My favourite story about ghosts has definitely got to be Ruined by Paula Morris! It’s sort of a cross between a ghost story and historical fiction, and it’s so good! Love, love, love Supernatural! Thanks so much for this superb giveaway! My favorite ghost story is The Name of the Star by Maureen Johnson. My favorite ghost story is Anna Dressed In Blood. I can’t wait for the sequel! Sounds like a good one. I think I’ll go with what looks like the majority and say Supernatural. My favorite film about ghosts is Woman in Black! My favorite book about ghosts is also Woman in Black because i couldn’t sleep at night after I’d been reading it! I like the tv show Supernatural. Thanks! I love anything with ghosts. We need more fiction with ghosts, less with vampires! 😆 I absolutely adore The Sixth Sense. Big fan of the show Supernatural. It’s not a ghost story, per se, but I’m enjoying the Cassandra Palmer series, where the heroine can see and interact with ghosts, and one of the main characters is a ghost. It’s a lot of fun. I don’t think I could pick a favorite book about ghosts, there are too many to choose from. As far as favorite movie, I’d have to go with a classic – Poltergeist. My favorite show is Battlestar Galactica, but people tend to debate whether or not one of the characters was a ghost or not. Personally, I think she was a ghost with unfinished business. Hmm, Lily’s Ghosts by Laura Ruby or Marley’s Ghost by David Levithan or A Christmas Carol by Charles Dickens. I love ghost stories. Thanks a lot for the lovely GA! Ghost things. Well, the movie may be Ghostbusters, just for all of the childhood and college memories attached to it. Why can’t I think of any books about ghosts that I loved? There must be some. Harry Potter! There are ghosts. Well, it’s not about ghosts exactly, but I’m counting it! Well, I do love Anna Dressed in Blood by Kendra Blake. The dreariness of the writing and the originality does call out to me–I mean, come on, how many books can you name that has a male MC who kills ghosts? How badass is that? Also, the plot itself is quite interesting. Anna isn’t one dimensional, and so are the other characters who’re in the book. One of my favorites is The Little Stranger by Sarah Waters. My favorite book about ghosts is Anna Dressed in Blood by Kendare Blake because the ghost really is heart-breaking! Mine isn’t so much a ghost but more of an evil entity. The Exorcist has effectively scarred me for life. My favorite ghost book is The Ghosts, by Antonia Barber (UK title–The Amazing Mr. Blunden). 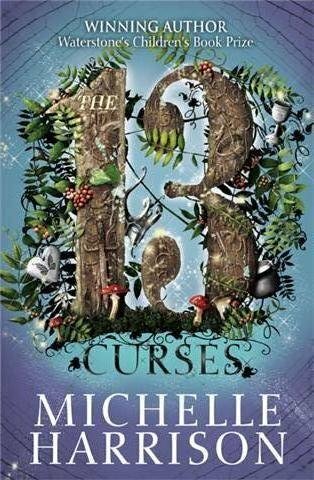 It is a most excellent middle grade time travel plus ghost story, and I have loved it for years! The first story that popped into my mind was…”panic, I am drawing a blank!”. Then I remembered the Jenny Wade house in Gettysburg. I just love that story. I didn’t see any ghosts but my friend did and she even got pictures! I try not to watch/read too many ghost stories. My imagination, it is too overactive – I saw Woman in Black a couple of months ago and I STILL think of her when I’m getting ready for bed/in a dark house. HOWEVER. All bets are off when it comes to Ghost Whisperer. I watched almost the entire run of that show the summer before last, and damned if I didn’t love every moment of it (even if many of those moments were spent making loving fun of the rampant cheese). …. i forgot to mention a favorite ghost story!! Doh.. Actually when I was younger I read a story by (i think)Edgar Allan Poe, which involved mirrors. I remember I had to cover all mirrors in my house for about a month as they freaked me out so much. My favorite ghost story is the Canterville Ghost by Oscar Wilde. I love the ghost’s reaction to the American ‘pragmatism’! Favorite ghost story The Haunting of Alaziabel Cray. No contest. The Girl in a Swing by Richard Adams. It’s surprisingly beautiful for a ghost story. This may sound cheesy but Ghostbusters is my all-time favorite ghost movie! Comedies are always my favorite 😀 ! One of my favorite ghost story films is The Others. I must have read The Discontented Ghost by Scott Corbett dozens of times when I was little. I’m afraid to read it again now in case it doesn’t live up to my memories. My favorite ghost related TV show is Ghost Whisperer, no doubt (cheesy but cute). Also, Gerald Durrell, in his book The Picnic and Such Like Pendemonium, has a story that I always interpreted as a sort of ghost story (and it always scared the hell out of me) – ‘The Entrance’. Another Randall & Hopkirk(Deceased) fan – the original version. I am going to be honest and say that I haven’t read or watched many media with ghosts in it, since they used to make me have nightmares as a child. However, I am happy to say that at age 24, I’m finally able to manage more of the supernatural in my fiction, and actually enjoy it a lot. Somehow, ghosts have never appeared yet, or at least not that I remember? 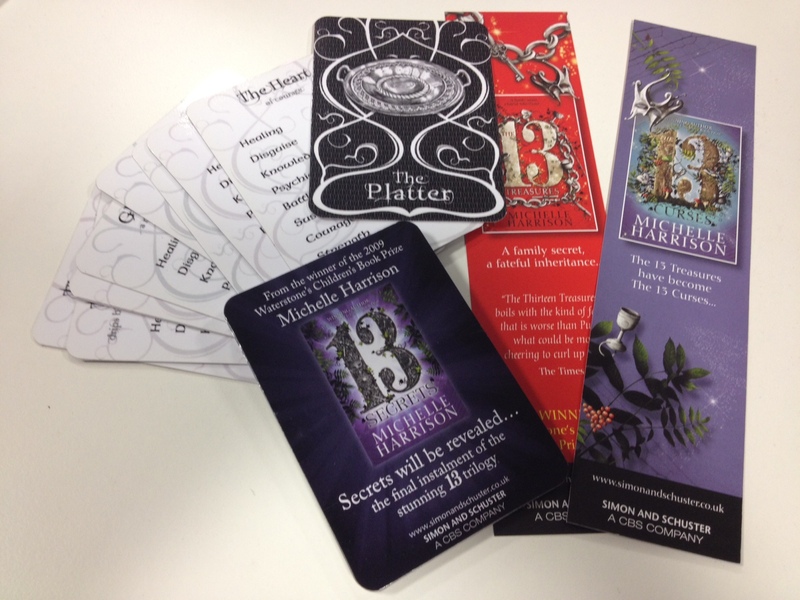 Does it count to say that I am super excited to read “The Graveyard Book” soon? 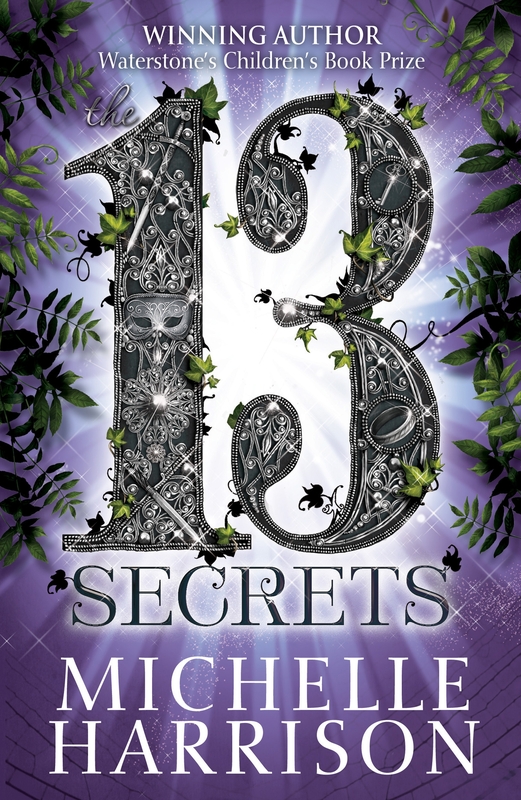 I loved the 13 series, and the new book looks amazing! I love all the “reality” ghost shows on TV – Ghost Hunters, Ghost Adventures, The Dead Files. what an amazing giveaway, thank you for entering me! i love with all my heart buffy the vampire slayer, which has plenty of ghosts. book wise, i would have to go with the graveyard book by neil gaiman. it is wonderful. I’m not usually one for classic ghost stories. I do not know if this counts, but Thirteen Reasons Why is a ghost story to me, and it is stunning. My absolute favorite ghost story is Jane-Emily by Patricia Clapp, although Wait Till Helen Comes by Mary Downing Hahn is a very close second. For TV? No question. Supernatural is the best! I used to love the Scary Stories to Tell in the Dark books when I was younger. What Lies Beneath was a pretty creepy movie about ghosts. My friend had to sit outside for a few minutes before she could drive home to her dark apartment after that one. It’s one of my favourite episodes of the TV show Charmed called Dead Man Dating. It’s really sweet love/ghost story and at the end I always tear up at it.